To help meet dancers where they are, we offer programs for children and youth from ages 3 through 18 that are just starting out or want to take one or two classes to explore the world of dance. Recreational programs are a great way to get that first foot forward into dance. Many of our recreational students, from children to teens, move on to the competitive programs following a year or two of dancing in the recreational program. We offer rec classes in Ballet, Jazz, and Hip Hop and students are placed in classes based on initial assessments from faculty at KIUAN. These placements ensure that the dancers are getting the support and challenge they need at their level. Students in recreational classes perform at our Year End Show but do not compete in the various dance competitions attended by those in the competitive program. 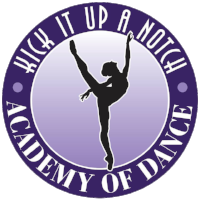 Contact us to take that first step into the world of dance!